We all carry with us treasured memories of places that were part of our childhood or young adult years. They usually involve golden summer days, sweet treats and perhaps, adventure. This is your portal to the special places of Maple Ridge. If you have a favourite that is missing from the list, please CONTACT US and nominate your choice. 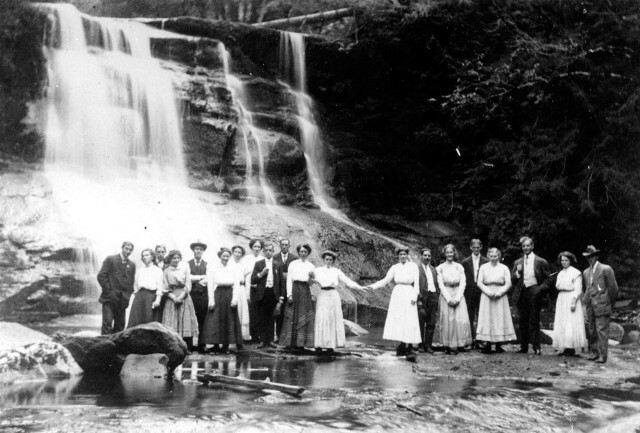 A young adults group visits Cliff Falls on Kanaka Creek in 1910.